Critical Approaches, Task 1 can the research help the media? This first part will be about the types of research while later blogs will explain the different research methods such as market and audience research. I hope that this would have people know all the bits of research that can be done if people need it for work related things. These are all important when developing some type of product or finding out certain bits for development plans. Primary research in Media is showing the basics of budgeting for a production and how much the advertising can get peoples atttention. When it comes down to the wire, The ratings for a show and the Box office results of a film show what is successful and what needs better attention. should things go well for that production they will try and escalate on how it is doing and make more from that production such as marketing a lot more of what there already was. Primary research can be direct or first hand evidence of what people would want to know, research data, video recordings, internet communications, focus groups, interviews, public opinions and many other ways of research gathering can be used to get all the correct results of what people will want so those people will have all the ideas they can use. The Secondary research is using the likes of the internet or current items that people like and trying to create new ways of distributing it more for audience’s attention. If someone likes something, that could be a good sign of capitalising on the subject matter. While this is a way of research it won’t always have the right results so it won’t be the most reliable research even if primary research isn’t always easy to get. secondary research is also analysing, generating and evaluating original information that can be used to collect more research into looking what people would want in a show or movie. some secondary research can also be about using books that can mention the importance of certain subjects and what they may have. Other bits like articles on magazines, newspapers, references, reviews and others can be a way to get more research from other sources of the secondary side. Quantitative research is the collected end sum of a box office hit’s money equal or how many of certain media products like games and CD’s have sold total meaning that profits could be made. If something is lacking the people seeing the results will know about it and try and figure out the problems and do something to try and sort out those issues. Quantitative research is overall numbers being money from a box office, sales of DVD’s, CD’s or games, seeing what is most popular and the total number showing an overall result of something that has done well with viewers and buyers. seeing what has been sold and seeing an overall number can prove if wheather or not that certain media based product made a profit or flopped and didn’t get people to buy, missing out on sales numbers. When it comes to TV or movies most people would expect proper quality from the content that would be shown and meeting up to audience standards giving those who wanted good quality from what they watch. It could be used as research from social activity or knowing whats good and whats bad, the bad being is for those getting their production made but it would end up bombing dispite doing the research, the good is that if done right the production people can get better sucess and plan out some future ideas including if that production gets very popular and grabs more peoples eyes including buy some of their brands based around what that production had to offer. Qualitative research is hearing people’s opinions, hearing peoples issues, seeing what people like more, understanding peoples tastes and going in depth on certain products. Hearing those opinions can give a lot of ideas for developers as well as keep getting people buying their products and keeping those people satisfied, if people don’t like what they have, then those people might make certain complaints and give reasons for why they are complaining. Developers want to give something to certain audiences in exchange for their money and in return people will be happy about that and keep supporting that product. Quantitative Research is the number of something having a statistic number to it such as sales figures or knowing what number of products there will be. As well as this it would collect the data like it would keep track of what to see with the research as a whole. Comparing My Primary Research to What I Have Found . . . Comparing both my primary research I had conducted and the secondary research I had searched out, I have noticed that the new Evil Dead trailer is responding well to their audience, as there are a few people who have liked and preferred the remake trailer, as overall 10 people (included the person who liked both), liked the remake trailer, to which looking at the statistics on YouTube there are 2,749 likes showing that people like the trailer. I also checked on Facebook to see what other responses are, for students that study at Bridgwater College there are less then 20 who like the trailer/film, this can be due to the amount of people actually going around and liking products, and or there are not a lot of people signed up to Facebook, which then those people have a disadvantage as they are not able to like certain things basing on Facebook to share socially. However I also checked to see the amount of likes that are just based in the UK and I have found out that 56,800 people have liked Evil Dead. Even though this is a big gap difference between my amount of research and the secondary research I am finding, I can say that from both I can see that the trailer is reaching to their audience. I can see this as when I was researching the trailer on YouTube and the amount of likes on Facebook, it also showed me what other people had liked or similar features for what I am looking for, showing that the trailer is appealing to horror seekers as they watch or like other gory films. Questionnaires – are used to gain a large amount of data from a large demographic, whether this be qualitative or quantitative data. 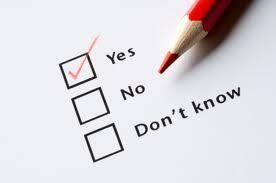 A questionnaire can be focused to a specific research by changing the questions, making them more specific. Interviewing- is a technique that is primarily used to gain an understanding of the underlying reasons and motivations for people’s attitudes, preferences or behavior (qualitative data). Interviews are not just subjected to one – one meetings, groups can be interviewed as well although when this is done you can get a more generalised opinion on a question. Observation – is when the researcher personally oversees a group or individuals activities, this can be in many forms, for example participant and non participant. Participant is when the person being observed knows that they are, non participant is when they don’t know. Diaries can be a way of obtaining either qualitative or quantitative data and can be used to realise someone’s work activities or daily lives. Sampling is a mass data collection of a population and can be used to generalise certain things for example average age in an area. A census is a good example of sampling as it is a mass data collection of everyone’s age and name. Books – data collected by someone else, this data is used when a researcher needs references on a specific subject. A book might be titled computers of the 1980s, if the researcher wants a specific computer they will have to sift through the data and select it. This data is used to back up information or gain more information about a subject. Internet – the Internet is a good source of information if you want to collect data quickly, however sites like Wikipedia are sometimes unreliable and may affect your project because the website is open to public editing. Video on a specific subject used to get a more graphic image of the subject to better allow the researcher to interpret or summarise it. This is when someone looks to previous research i.e. if someone was creating a script they could watch old shows, read books and look through blogs to find all the related information they are looking for. So by them looking through books, blogs etc., means that it’s secondary as it’s been written before.